My girlfriend and I travelled to Paris about a month ago. We needed a break from our busy daily lives and it seemed like a good idea to hop on a plane for merely 1.5 hour and then just casually wander the streets in 'the city of cities' for a week's time. Which is was indeed. While it was a continuously curious sight to see the Parisian inhabitants being outnumbered in certain parts of Paris by Chinese tourists looking for the next European luxury brand store to empty, the visual impact of legendary French monuments like Louvre, Sacre Coeur and Notre Dame luckily reminded us of our location. My girlfriend and I both have a dominant taste for the modern so a highlight of that area was definitely the groundbreaking Villa Savoy by Swizz-French architect Le Corbusier and his cousin Pierre Jeanneret. 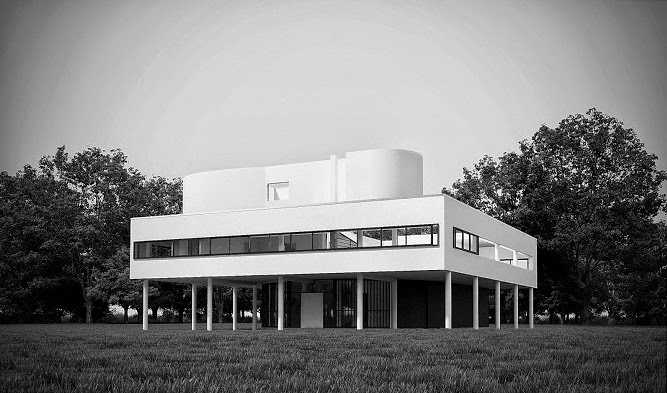 Villa Savoye – a modernist masterpiece built in 1928-31 as a country home for the Savoye family. Located in the quiet Parisian suburb of Poissy about 40 km from the city center. 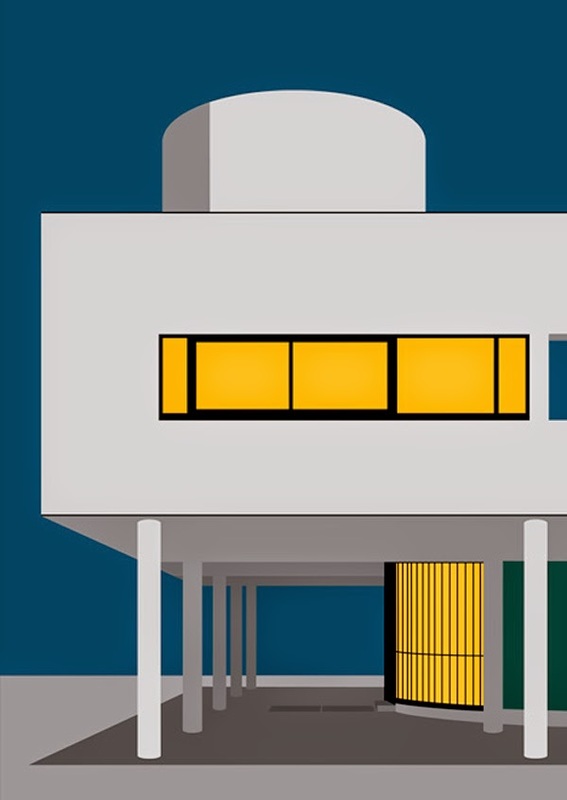 Villa Savoye artistically captured by photographer Cemal Emden. 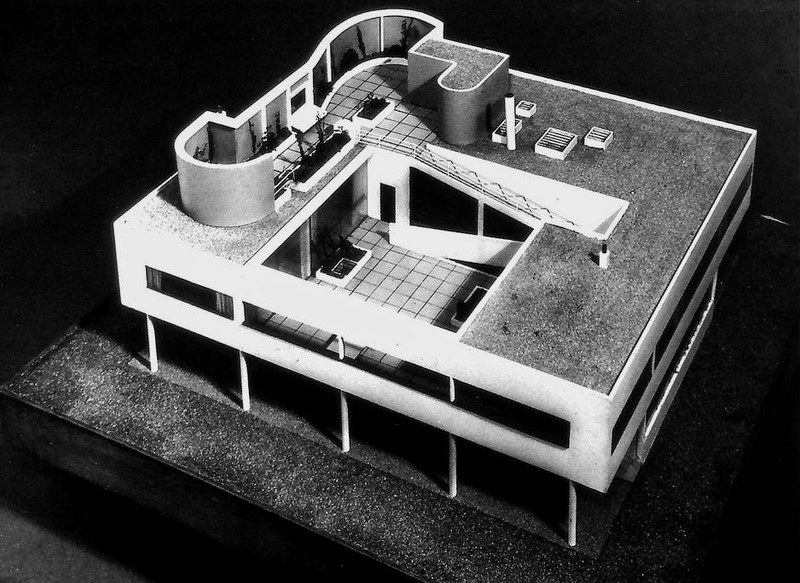 The original model of Villa Savoye - note the inner terrace and roof garden. 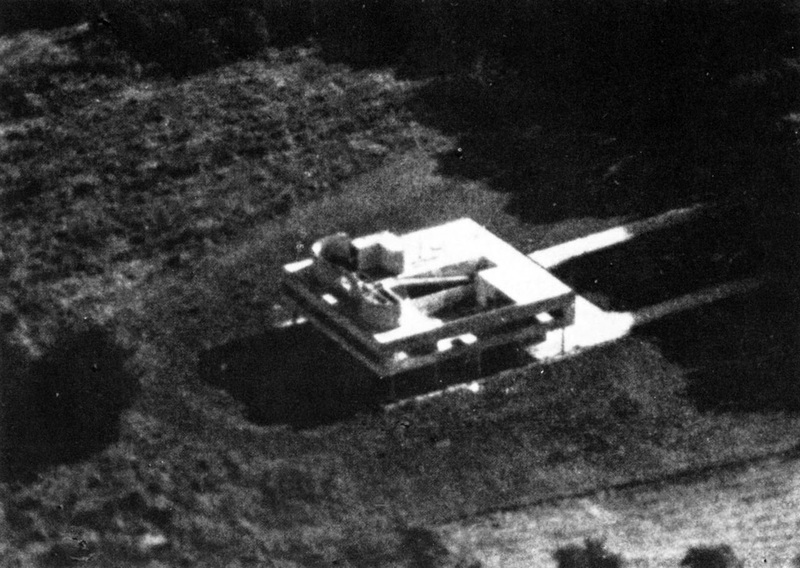 A blurry but fantastic aerial photo of Villa Savoye taken shortly after its completion. the war poured concrete down the toilettes shortly before fleeing from the advancing Allied forces. A rare photo taken by a German soldier during WW2. Note the large stack of hay on the 1st floor. The building was shortly used as a shelter by American soldiers who shot out all the windows for fun upon their arrival. Their recklessness quickly caused even greater damage than the Germans did to especially the interior. 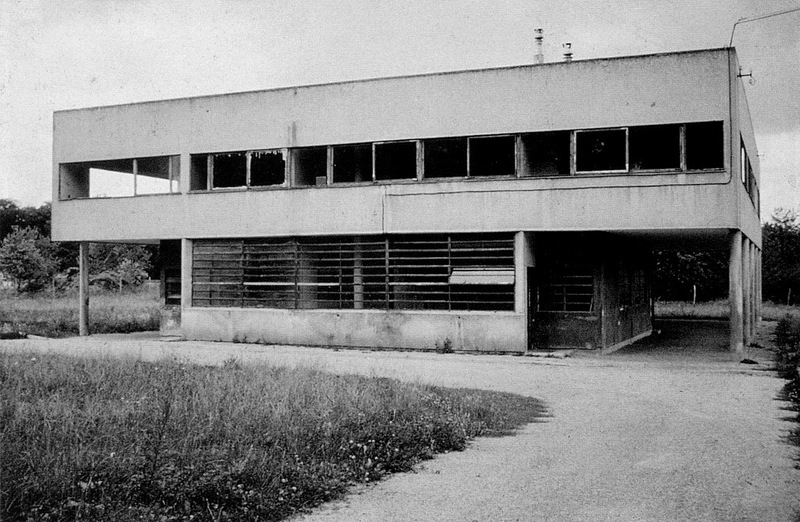 A rare postwar photo showing Villa Savoye in a very sad state. The Savoye family returned to their house after the liberation of France but without the financial means to make it livable again. Though still owning the large piece of land surrounding the house, they moved to a nearby farm and started cultivating the land. The once internationally hailed Villa Savoye was subsequently used as a barn to store crops and farming equipment which only furthered its deterioration. Postcard illustration by Stefi Orazi Studio. It's hard to imagine that one of the world's most important and influential buildings in modern architecture survived these harsh trials. 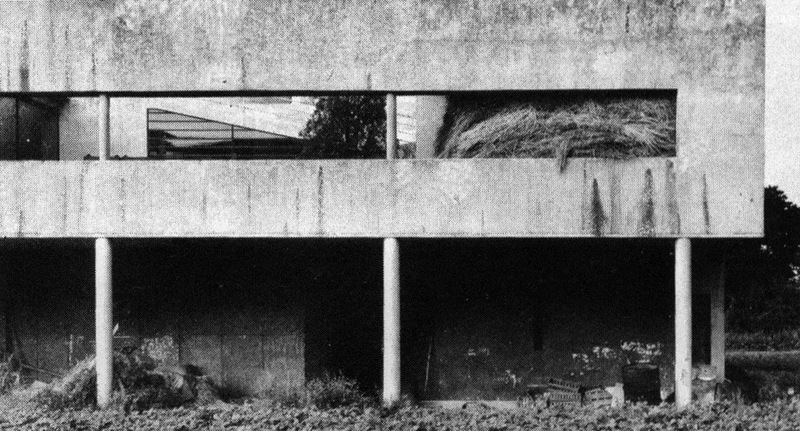 Thanks to worldwide protests from the architectural community, Villa Savoye barely even avoided demolishment in 1959 when the municipality of Poissy - who had just bought the house and land from the Savoyes - wanted to make room for a public school. 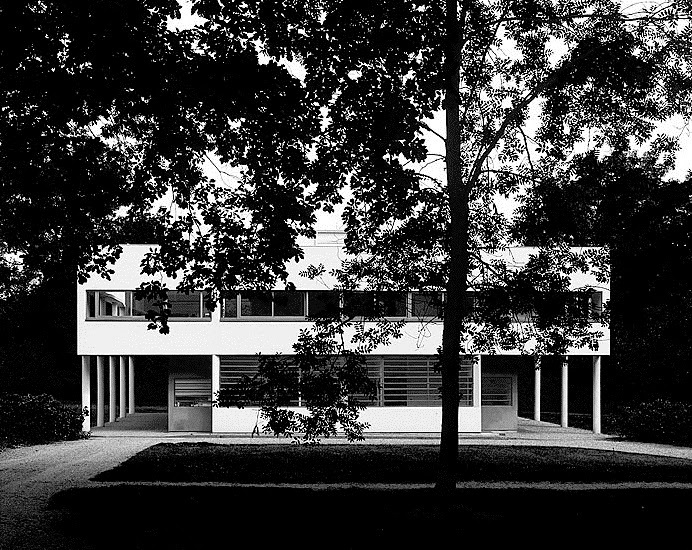 The French minister of culture, André Malraux, fortunately intervened and Villa Savoye was finally designated as a historical French monument in 1965. Surprisingly it was left to further deteriorate for more than 20 years before undergoing three series of complicated restoration in 1987-95. It has since been opened to the public. A discrete poster in the metro led us to a fantastic exhibition at Palais Galliera showing French fashion from 1947-57 by Dior, Chanel, Balmain and many more. 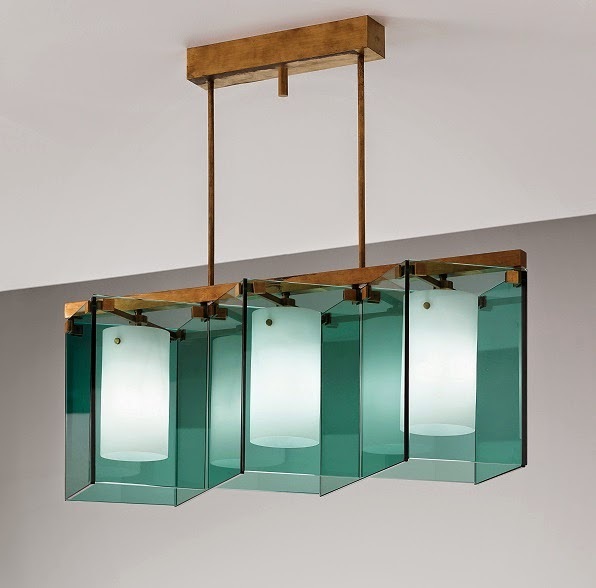 A very glamorous experience in postwar elegance not to mention amazing craftsmanship and material sensibility. 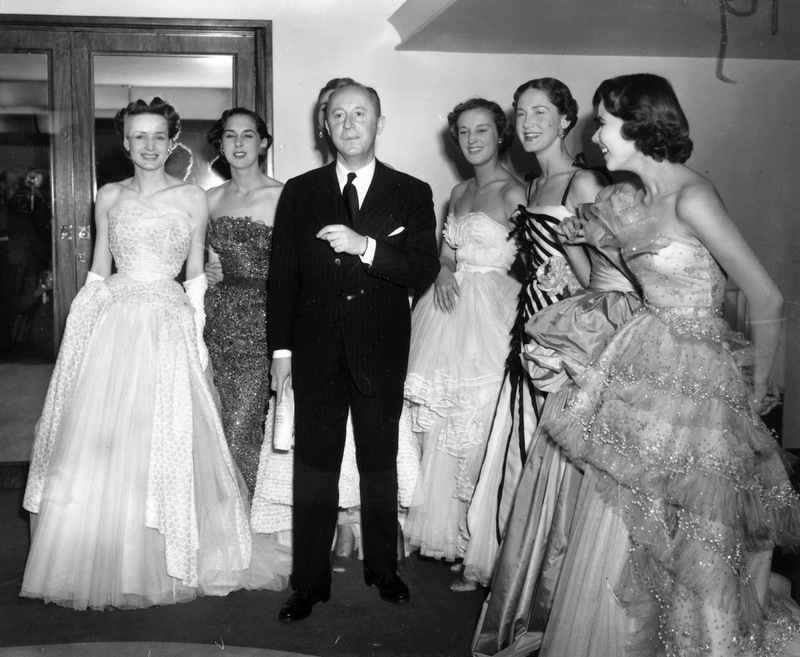 Sadly, it was not allowed to take pictures but here's a vintage photo from 1950 showing the revolutionary fashion designer Christian Dior surrounded by models wearing his designs. 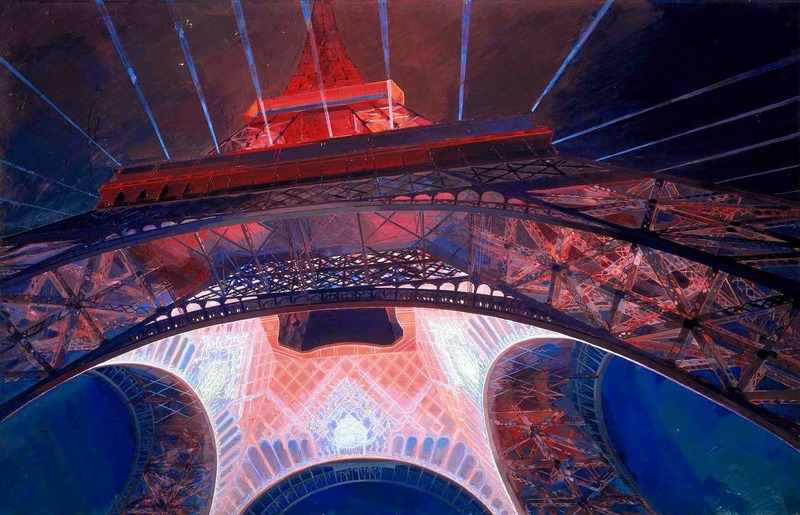 Of course there was no way around Gustave Eiffel's absolutely amazing steel structure from 1889, the Eiffel Tower. Seeing this technical landmark, 125 years old and 324 meters high, glittering from top to bottom against the dark blue summer night was a sight I'll surely never forget. Vintage photo by legendary French photographer Rene Jacques (1947). Being the world's most visited paid monument welcoming visitor no. 250.000.000 in 2010, the Eiffel Tower has a long record of interesting stories of which many revolve around irradical human behavior. For instance try searching for 'Franz Reichelt' on YouTube and you’ll find original video footage from 1912 showing the French tailor literary jumping to his death from the Eiffel Tower as he tests a homemade parachute. While it might had proven airworthy, his parachute sadly failed to open. French architect André Granet for the international EXPO exhibition in Paris, 1937. 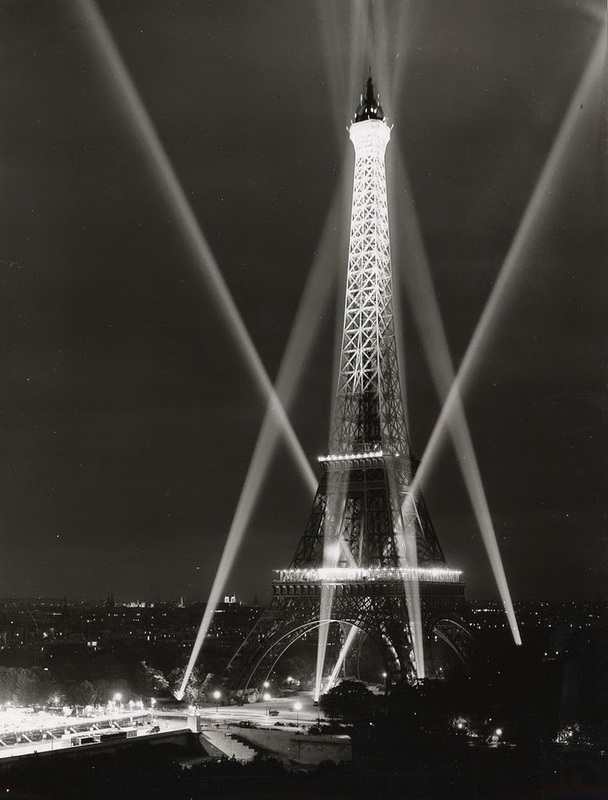 A historical fact I personally found very interesting was that a radio transmitter located in the Eiffel Tower success-fully jammed German radio communications in the opening weeks of World War 1. This seriously hindered German troop advancement on Paris and contributed to the Allied victory at the First Battle of the Marne. However, in stark contrast to my wonderful reminiscence of the Eiffel Tower is an incident not equally pleasant to recall. It was while wandering casually downhill from Sacre-Coeur towards the city center of Paris I suddenly spotted a abandoned piece of furniture standing on the sidewalk far down a side street. I was immediately lost for words. This sofa is not something I’d see back home in Denmark or any other Scandinavia country for that matter. 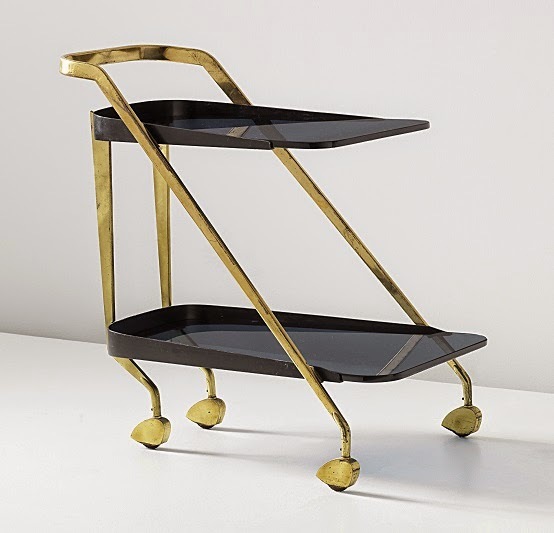 The slightly angular design and brass frame are much more typical of Italian and to some extent French furniture design from the mid century era. in my numerous books on interior decoration. 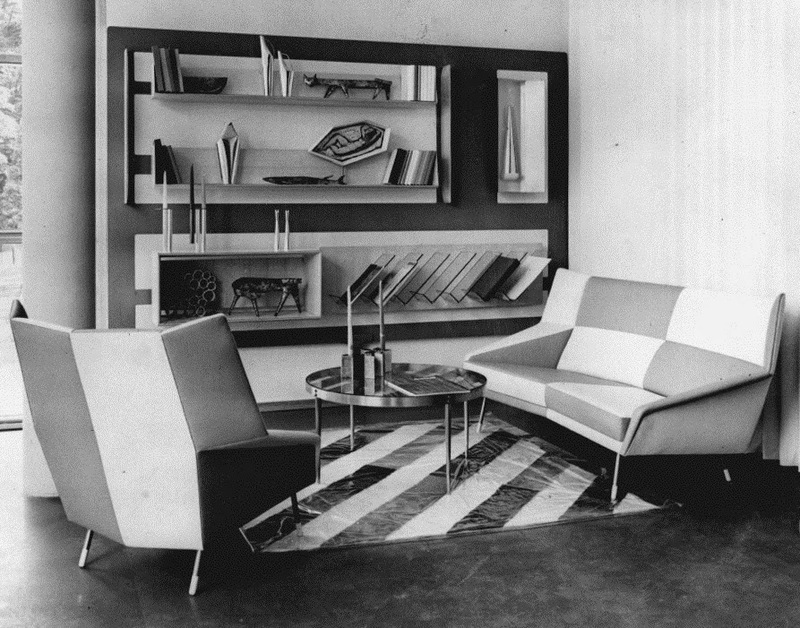 In fact I had two days prior bought yet another such book in the shop of art museum Centre Pompidou which showed the work of fx acclaimed Milan-based interior decorators Dimore Studio who I’m sure would love to use a sofa like this in their next assignment. a blanket to cover. It didn't bother me as I actually prefer to fully renovate the vintage furniture pieces I live with. The fabric on the sofa was a thick type of velvet that looked just like something you'll see on reupholstered vintage furniture in international interior magazines these days. 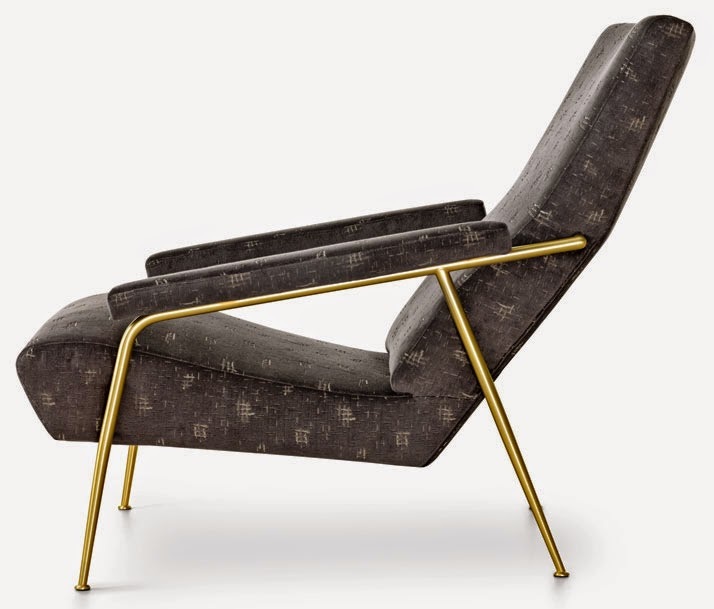 Another aspect of this sofa that's highly exposed among the current design trends was the brass frame. 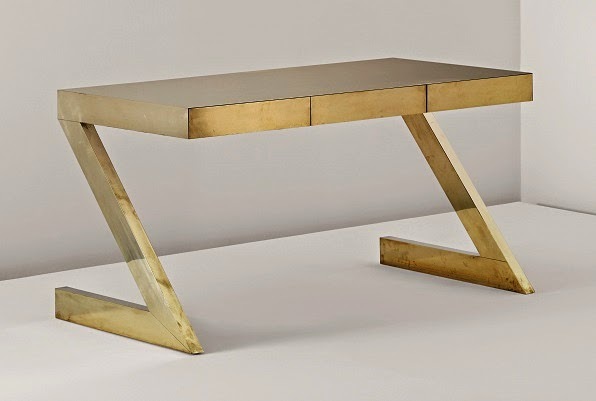 Copper has long been dominating but now it seems brass has gained lead position as the favorite metal of choice among designers and interior decorators. With the other large piles of interior garbage littering the sidewalk of this quarter there was no doubt the sofa had been discarded and would soon be picked up by a garbage truck. I had to rescue it. I had to get it home somehow. a foreign city on a Saturday afternoon with no French-speaking skills and a sofa in need of immediate pick up? My girlfriend and I took a break in a nearby Starbucks while I searched both the Net and my brain for people to call for aid. I got hold of a few Danish vintage store owners who I knew had connections to Paris. Having the sofa trans-ported to Copenhagen could easily be done for $400but having the sofa transported to a storage location in Paris until further notice was impossible given the time of week and also the time of year as many working Parisians spend their vacation in August. So, after contemplating on a long list of ideas I reluctantly had to cancel the plan of adding a international piece of furniture to my collection. My girlfriend and I went back to the sofa only to find it moved to a less flattering position. My mind was haunted the rest of the day by this lost treasure still sitting unwanted and free of charge on a street corner. Having quite a persistent nature I managed at night after dinner to find a storage facility with a homepage in English. It was located some 800 meters away from the street where I first found the sofa and while my girlfriend and I could possibly carry it through Paris, there was no office personal at the facility during Sunday. So, yet another dead end. Finally, heavy rain during the dark hours of night proved to be the last nail in the coffin. Damn! … I really hope someone else recognized its potential and took the sofa home before nightfall. in modern design, no design culture of the postwar era seemed to have embraced brass more lovingly than that of Italian origin. And when generally talking about Italian design, there's no way around one of its most influential figures, legendary architect, designer, artist and publisher Gio Ponti. 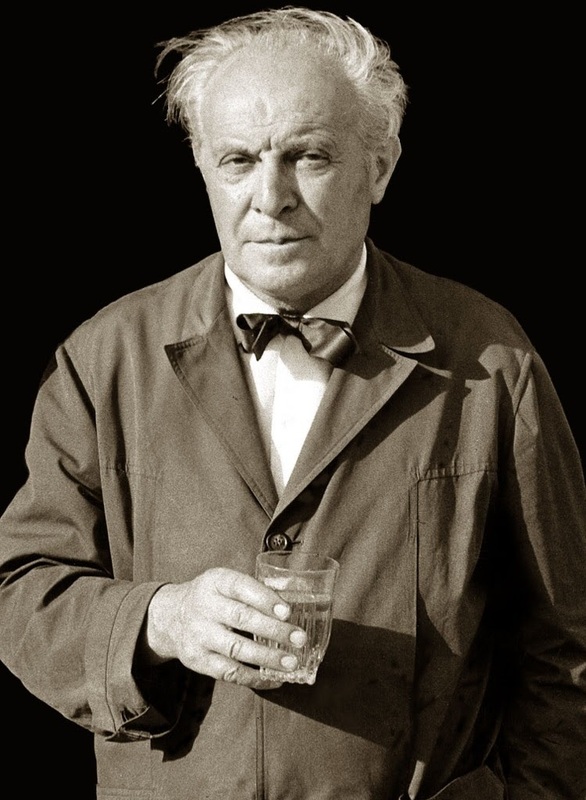 Italian maestro Gio Ponti (1891-1979). - note the angular design of both the armchair and sofa. 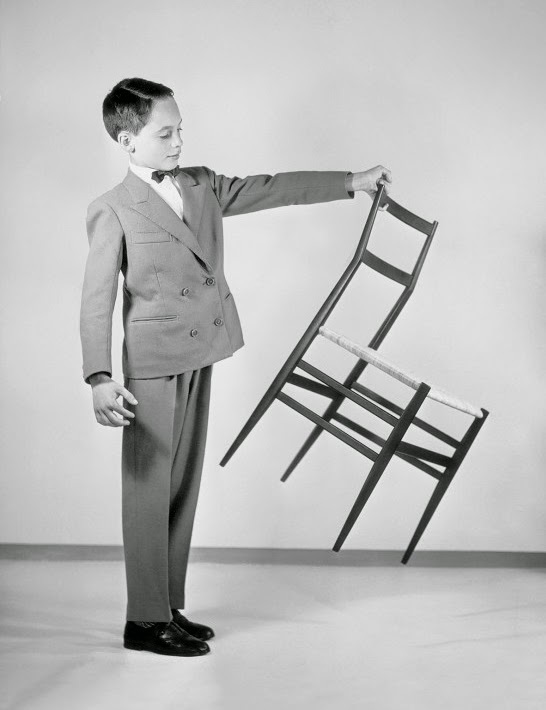 You may know him for his classic Superleggera chair from 1957 by Cassina. Superleggera actually means "super light" in Italian and despite its ultra slim appearance with a wooden frame weighing only 1700 grams, the chair is renowned for its incredible sturdiness due to highly crafted joinery. Countless thick books in all languages have been written about Ponti's theoretical and practical importance to 20th century architecture and design, so I will not go into details with his career here. I already now find it hard to restrain myself from telling you all about his amazing wizardry with shapes and colors, as I've been a passionate admirer of Ponti's geniality for many years. 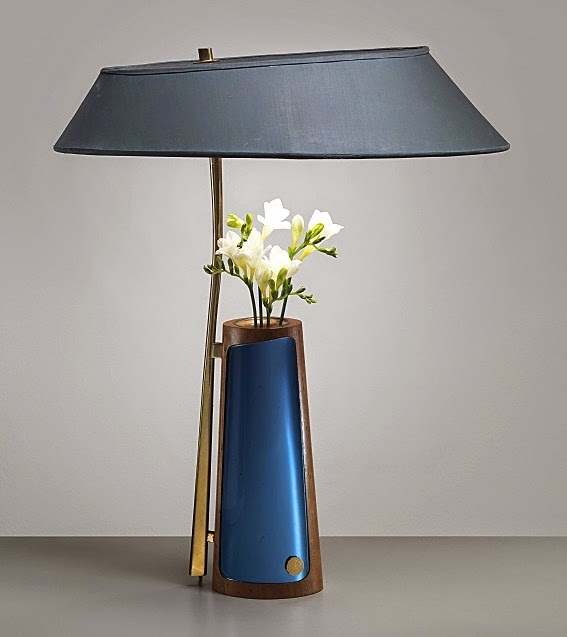 However while keeping in line with the subject Ponti very frequently used brass details on many of his furniture and lighting designs as seen in the examples below. 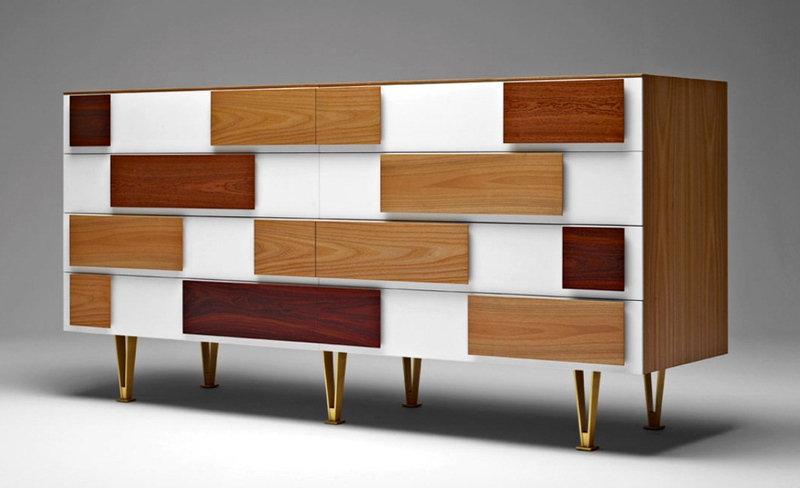 'Cassettone' chest of drawers (1956). 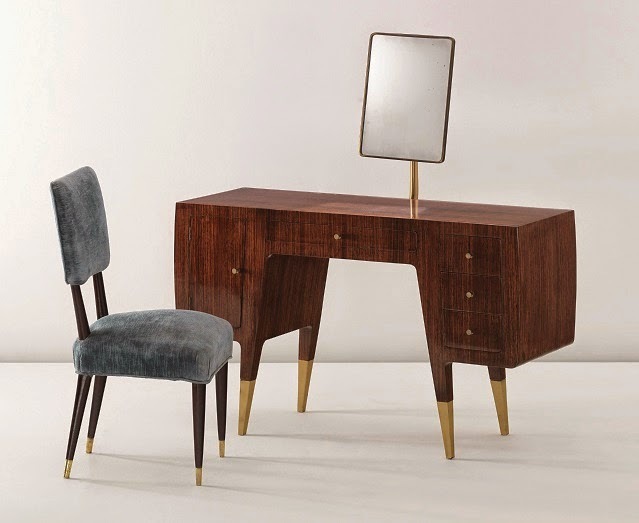 Dressing table and side chair from Casa Ceccato in Milan, Italy. Made by cabinetmaker Giordano Chiesa (c. 1950). Armchairs, model no. 593 (c. 1950). 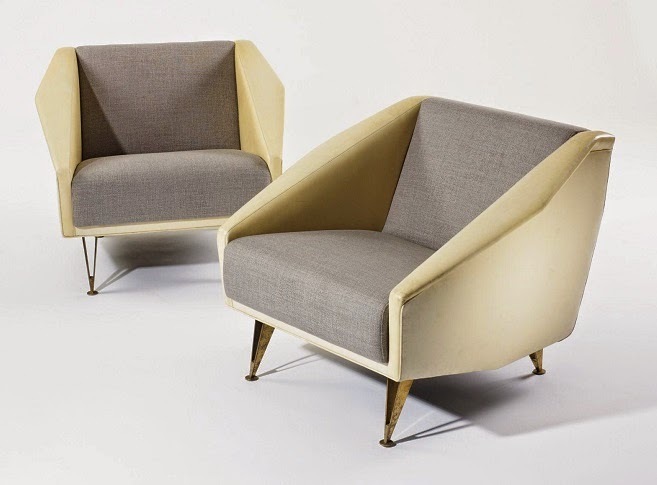 'Diamond' lounge chairs. Produced by Cassina (c. 1953). 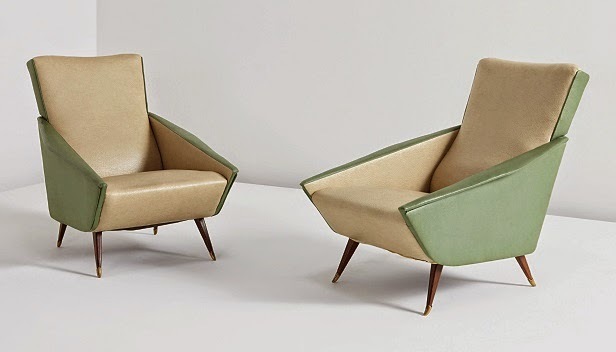 'Distex' lounge chairs. Produced by Cassina (1950s). 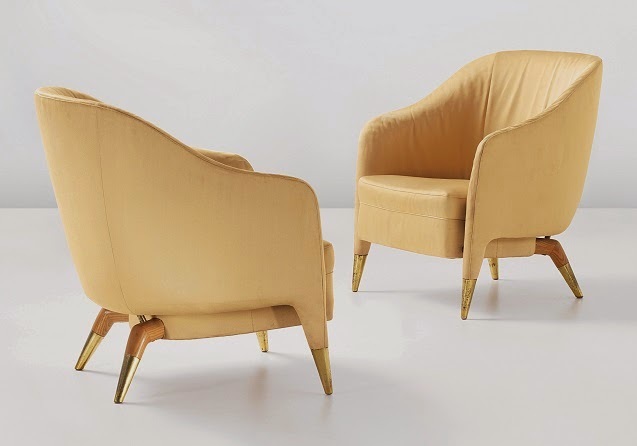 Rare 'Poltrona' armchair. Produced by Cassina (c. 1953). 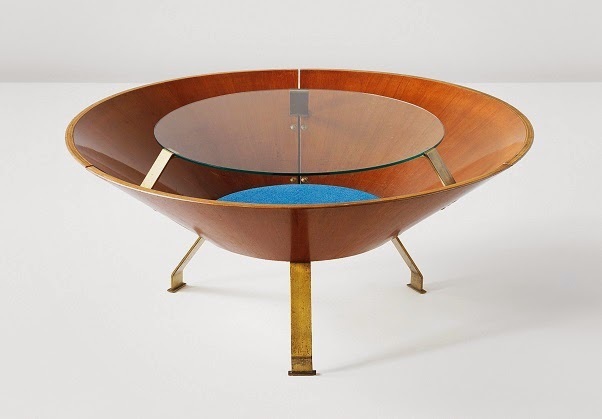 Coffee table produced by Fontana Arte (c. 1958). Chandelier for the Hotel Parco dei Principi in Rome. Produced by Arredoluce (c. 1964). 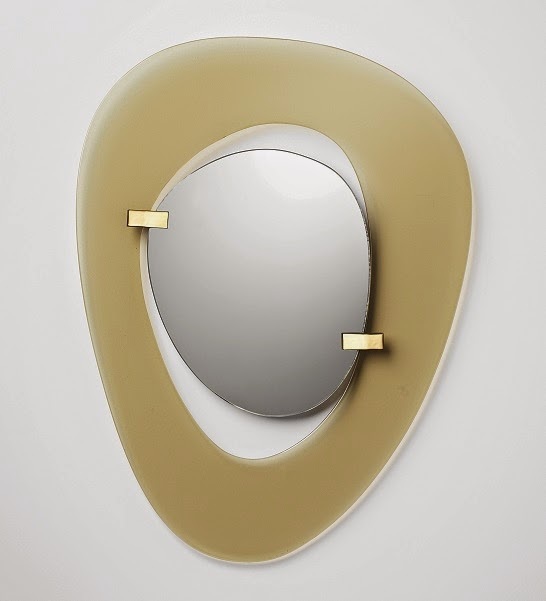 Fontana Arte, a Italian design company that was actually co-founded by Gio Ponti in 1932 produced countless high quality brass pieces. 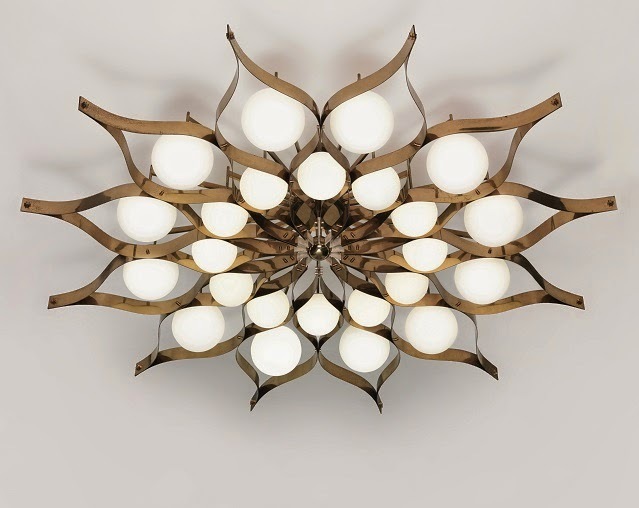 Especially from 1954 and onwards when French decorator Max Ingrand overtook the creative leadership and created these pieces among many others. 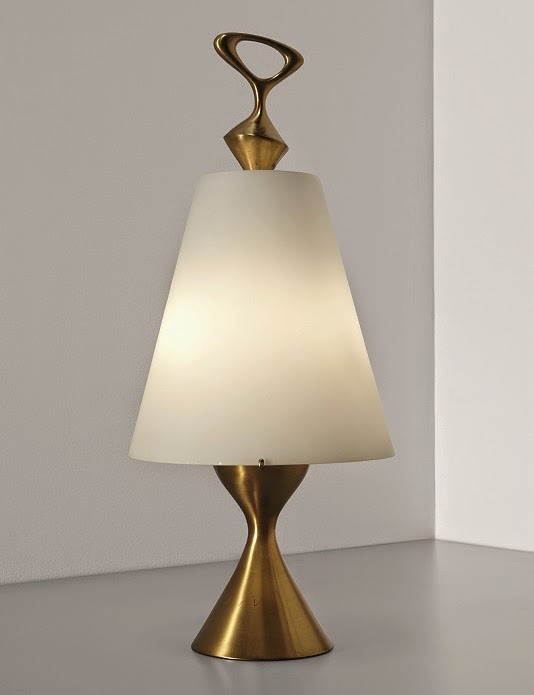 Table lamp - model no. 1815 (c. 1957). 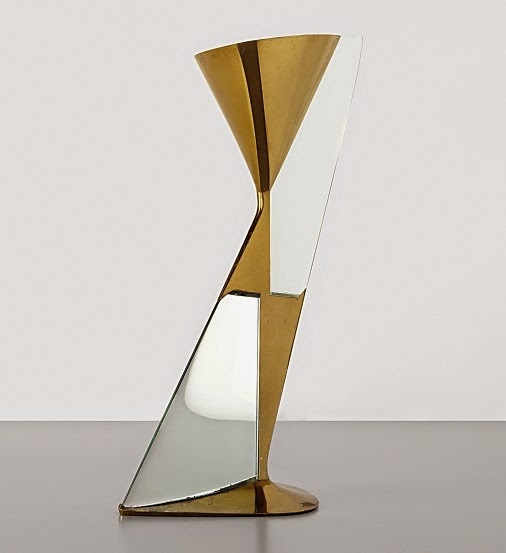 Table lamp with integrated vase (c. 1957). Ceiling light - model no. 2128 (c. 1964). 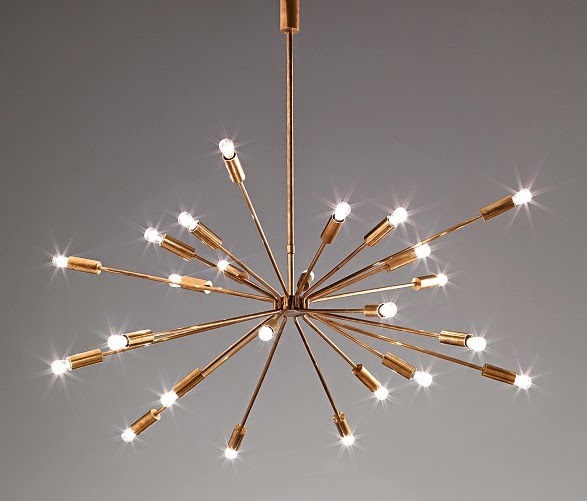 A few examples of other Italian designers using brass on various vintage pieces. - designed in 1939 but not executed before the 1950s. 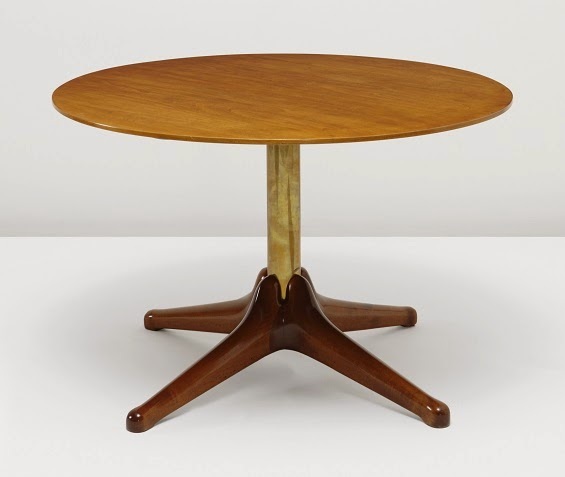 Dining table by Luigi Caccia Dominioni (c. 1950). 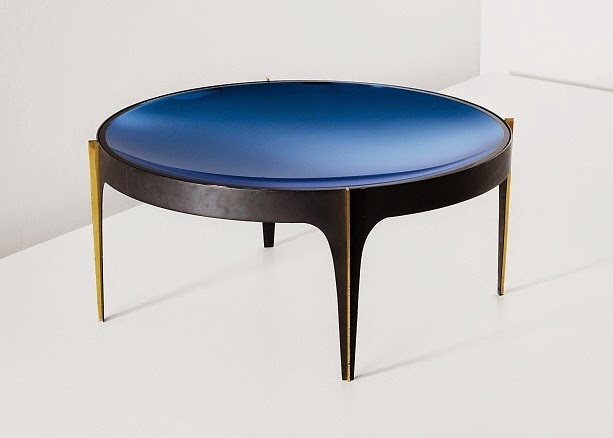 Coffee table by Gianfranco Frattini (1956). 'Z' desk by Gabriella Crespi (1974). 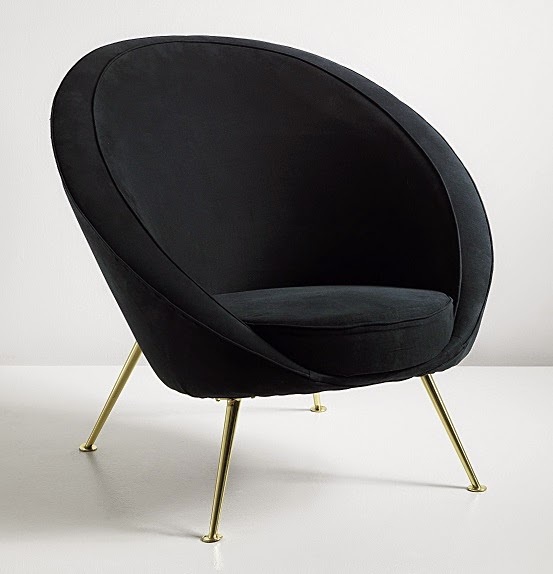 Rare 'Egg' chair by Ico Parisi. Produced by Cassina (c. 1954). 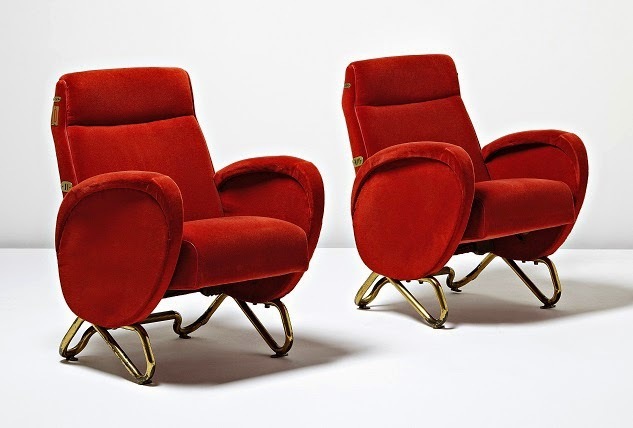 Armchairs by Carlo Mollino for the RAI Auditorium in Turin, Italy (1952). "The most resistant element is not wood, is not stone, is not steel, is not glass. The most resistant element in building is art. Let’s make something very beautiful."